I really had the best intentions to submit my blog entry yesterday but I was just so exhausted... 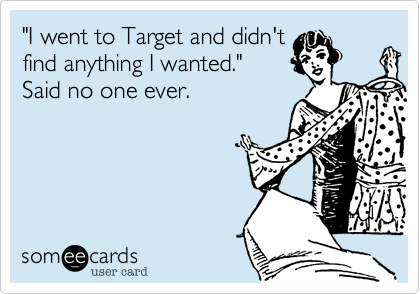 I was really to pack an alliteration punch with the "Tried it Tuesday: Totally Target." Has a nice ring to it doesn't? But I guess I'll just have to make "Tried it Wednesday" work! 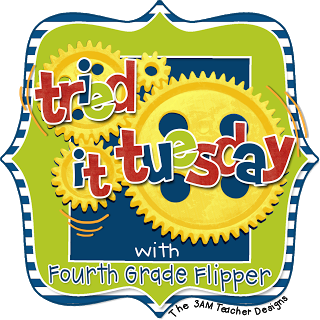 Okay, this week I'm once again sharing my "tried it" with Holly over at Fourth Grade Flipper for her Tried it Tuesday linky party! I'm excited to share my new couponing website called, "Totally Target." I as a teacher on a budget, I usually blow said budget at Target. I always have the best intentions but Target lures in me every time! My teaching partner recently shared with an amazing website called Totally Target. Thanks Mrs. K, you're best deal diva around! Totally Target takes each week's ad and breaks down the best ways to "get you more red for less green." They show you the in store "specials," cartwheel deals, and any manufacturer coupons available for printing! The website shows you a cost breakdown so you can see what your "savings" will be with all the offers available. Genius and economical! For example, this week there was a deal at Target for Zone Perfect protein bars. My boyfriend loves protein bars for breakfast and usually they are over $1 a piece! Target had a buy 4 and get a $5 gift card plus the bars were on sale. Not a bad deal. However, after checking Totally Target's Special Deals, I realized there were coupons available through Facebook and Coupons.com. So I "liked" Zone Perfect on Facebook and they sent me a $3 off 2 coupon and I was able to print two $1 off 1 coupons from Coupon.com. Plus, I checked my cartwheel and found 25% off Zone Perfect Cartwheel offer! Here's my cart full of protein bars plus some Capri Suns for our class party! I walked away with 20 protein bars for $4.41... that's only .22 cents a bar! Originally those bars were nearly $1 a bar!!! I feel like I've lived up to my blog namesake tonight! Grab the deal before it's gone! Here's the link to the $1 off 1 Zone Perfect (can print two per computer). Here's the link to $3 off 2 Zone Perfect VIP. Let's hope for another steal next week! Don't forget to visit Holly and check out the Tried it Tuesday posts! Whhhhhaaaaaaat? This is AMAZING! I worry about taking up couponing....I think I would let it overtake my life trying to find the next best deal. I'm a nutjob like that. If I become obsessed, I'm blaming you!! Actually, I won't...I'll hug you and squeeze you for saving me money. LOL! I still don't understand Cartwheel, so I guess that I'd better take a closer look!